January 6th was an interesting night as the candidates for State Board of Education participated in a candidate forum at the 912 Meeting in Fort Worth. It was a very informative forum because the questions were not prescreened and follow up questions were allowed. The candidates for office are Eric Mahroum, Pat Hardy, and Lady Theresa Thomes. Their opening statements told us a lot about the candidates. Eric Mahroum stressed his desire to bring our schools to higher levels so that parents would not feel the need to pull their kids out of public school and put them in private schools. Pat Hardy stressed that public schools are fine and doing well. Lady Theresa Thomes used her opening statement to attack the other candidates with allegations of wrong doing. Much of the question and answer time was spent on questions regarding CSCOPE and Common Core. Eric Mahroum stated that both CSCOPE and Common Core are basically the same educational philosophy and both should be out of Texas Schools. 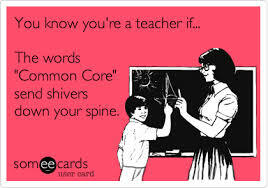 Pat Hardy stated that Common Core was a national program that didn’t belong in Texas schools because of the desire for educational needs for Texas students needing to be made by the Texas State Board of Education. She did show a strong support for CSCOPE. She did not see it as an educational philosophy but as a curriculum to meet the standards of education for Texas. Lady Theresa Thomes was strongly against both CSCOPE and Common Core for their socialist content. One question that showed the candidates real willingness to listen to parents was shown when a parent asked what the candidates would do to “clean up” Texas schools when it comes to special needs students. She expressed some difficulties she was experiencing in her school district and how parents were not welcomed in the schools. Eric Mahroum showed compassion with her and praised her for her efforts to raise a special needs student and said he would work with parents throughout the year to improve the schools. Pat Hardy told the lady that she didn’t believe her and that she worked in the Weatherford school district and had a representative from the Aledo school district that would also say that doesn’t happen. (The lady with the question was not from the Aledo or Weatherford districts). Lady Theresa Thomes did not answer the question with information related to the question but instead went back to the socialism being taught in CSCOPE. While the question and answer session and the candidate statements were very informative, I also learned a lot by the actions of one candidate’s supporters who were brought by that candidate for the forum. Pat Hardy had a table of educators and a school board member. During the opening statements, they chose to loudly boo a candidate. Granted, the accusations being made in the opening statement were not true or appropriate, but the action of yelling at that candidate showed a lack of self-control. During the entire forum, this same table of supporters for Pat Hardy made snide comments about both of the other candidates that could be heard four tables away. Their behavior was not only rude, but it gave the impression that this candidate is above everyone looking down on the constituents instead of working with the constituents. Two things were learned from attending this forum. First, all voters need to attend as many of these types of forums as possible. It is a good way to get information on the candidates and find out how they stand on the issues you care about. Second, if you are going to support a candidate, make sure your behavior brings honor to that candidate. Don’t cost your candidate votes by your behavior. The 912 group in Fort Worth is an excellent source of candidate forums. They try and get candidates from all races to do the forums before the elections. Excellent report of the candidate forum. Thanks for the information. here is Marhoums’ resume` – Eric Mahroum: Fort Worth native. BBA, American Intercontinental University. Began working in the hospitality industry at sixteen and was managing his first restaurant two years later. Has worked in managerial positions. Manages restaurants at D/FW International Airport. I recommend everyone home school, or at least private school their kids. John Taylor Gatto (born December 15, 1935) is a retired American school teacher with nearly 30 years experience in the classroom, and author of several books on education. He is an activist critical of compulsory schooling, of the perceived divide between the teen years and adulthood, and of what he characterizes as the hegemonic nature of discourse on education and the education professions…. It makes the children confused. It presents an incoherent ensemble of information that the child needs to memorize to stay in school. Apart from the tests and trials that programming is similar to the television, it fills almost all the “free” time of children. One sees and hears something, only to forget it again. It teaches them to accept their class affiliation. It makes them emotionally dependent. It makes them intellectually dependent. It teaches them a kind of self-confidence that requires constant confirmation by experts (provisional self-esteem). It makes it clear to them that they cannot hide, because they are always supervised.